Edwards Plumbing provides both Commercial and Residential Air conditioning services. If you have a residential unit that needs air conditioning repairs or an entire AC replacement we can help you. We have NATE certified technicians, experience in commercial AC repair/replacement to help with your commercial units and our scheduled maintenance plans are great to make sure your AC unit does not break down again. What do you get with our residential air conditioning services? NATE or North American Technician Excellence is the nation’s largest organization for certifying heating, cooling, ventilation, and air conditioning Technicians. Our priority is to be as straightforward and transparent with you about the assessment of your unit so you can make the best-informed decision. We give you complete options for repairing or replacing your AC unit. We only suggest replacements if we feel it is a necessity and will save you money. Best practices on the use of your home AC equipment for safety and to help you save money. If an emergency arises we will be there to help you with your unit. We have a direct emergency line at (334) 213-1519. What do you get with our commercial air conditioning services? In the commercial field, experience counts for more than it seems. Edwards Plumbing has been serving Montgomery since 1948 and we have seen and worked on virtually every type and model of AC heating unit. 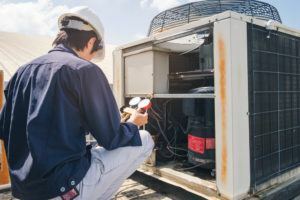 Less experienced HVAC companies will have problems and may even suggest replacements when they are not necessary because they can’t find the problem of your commercial unit. 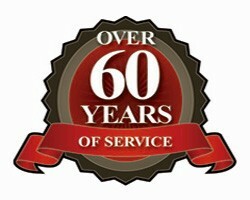 With our wealth of experience, we can always give you the best option saving you the most money. Our priority is to be as straightforward and transparent with you about the assessment of your commercial unit so you can make the best-informed decision for your company. We give you complete options for repairing or replacing your AC unit(s). Because we want to provide you with the best service possible, we only suggest replacements if it is a necessity and will overall save your company money. We will run through best practices for your commercial AC equipment highlighting safety and other tips to help your company save money.